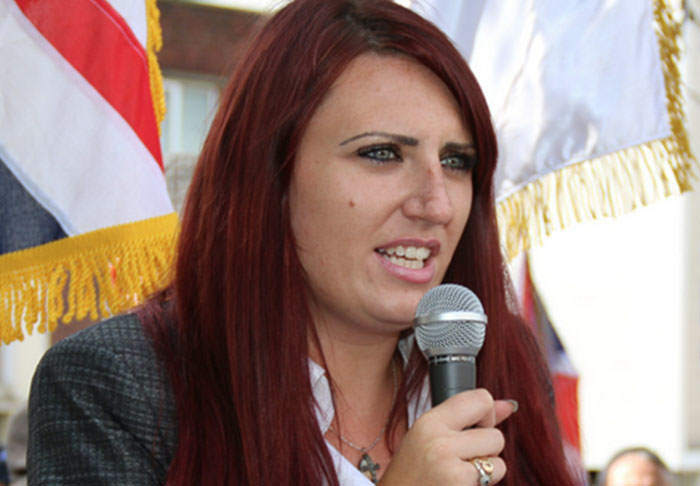 A Twitter account claiming to represent Britain First’s Jayda Fransen has caused a social media storm. The account used the Twitter handle @jaydafransenbf, used an image of the Britain First deputy leader, and included a link to the right wing activist group’s website. The group have since stated they are not affiliated to the account in any way after it became the subject of online ridicule following a controversial Q&A. As initially reported by the Huffington Post, people were invited to #AskJayda – posing a series of provocative questions which garnered a series of equally provacative answers from @jaydafransenbf. @jaydafransenbf first wanted to address allegations published by the Post that the deputy leader’s family heritage showed the real Jayda Fransen descended from Dutch migrants. This answer certainly provided no solid evidence to the contrary. The account also made the ludicrous claim that Malcolm X, were he alive today, would march alongside Britain First. Of course, that’s nonsense, and the Internet was only too happy to point that out. Ignoring the brilliant phrase ‘on the football’, and the blatant misspelling of Dele Alli’s name, the public was not going to allow such a baseless comment to go unchallenged.
.@jaydafransenbf And Ali Cook captaining the Test cricket team. Nightmare. @jaydafransenbf he was born in Milton Keynes to a Christian white English mother. His name is Alli which is most popular in the USA. With it being Easter weekend, whoever was behind the account diverted their attention to the issue of the term ‘Easter’ becoming lost to the age of political correctness. Although as companies like Cadbury pointed out, this is not the case. @landloulou Hi there, we haven’t removed the word ‘Easter’ from our products, it’s on the back! @jaydafransenbf then attempted to garner some living celebrity support for the nationalist organisation by reaching out to none other than Barry Chuckle. The former children’s TV presenter had already made moves to distance himself from right wing activism though. @breeallegretti It’s a load of rubbish,mate! I am not,and never will be, a member of this group! I just agreed with that one comment! ‘Oh dear, oh dear’, maybe the One Direction boys may look on the account more favourably? Having been torn apart by members of the Twittersphere, the curtain was brought down on question time. Regardless of whether the account was genuine or a parody, it spouted vile nonsense that did not go unchecked. Subject to the promise of deactivation being followed up on, the world will be a better place without the outdated opinions of @jaydafransenbf.